Vanam Manam Programme, a massive plantation drive was conducted by the NSS units of College of Horticulture, Venkataramannagudem on 29th July 2016. 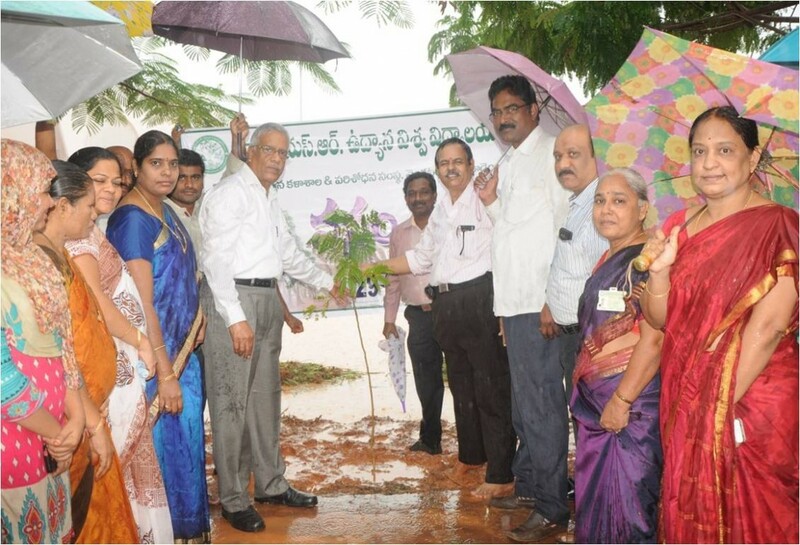 Vice-Chancellor, Dr. BMC Reddy inaugurated the programme by planting Delonix regia sapling near girls’ hostel. Dr.D.Srihari, Dean of Student Affairs and NSS Programme Co-ordinator along with other University Officers viz. 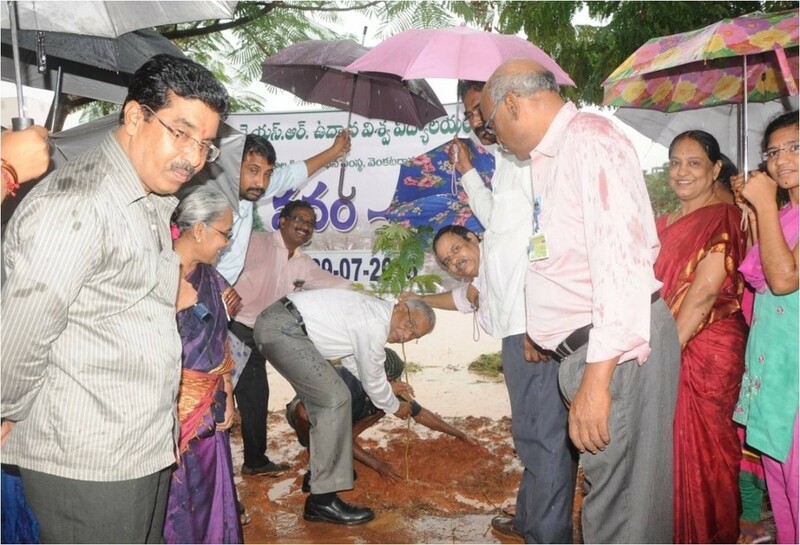 Dr. B.Srinivasulu, Registrar, Dr.M.L.N.Reddy, Dean of Horticulture, Dr. J.Dilip Babu, Director of Research, Dr.R.V.S.K.Reddy, Director of Extension and Dr.M.B.Nageswara Rao, Director of Industrial and International programs participated and planted the seedlings. Dr. A.Sujatha, Associate Dean, College of Horticulture, NSS Programme Officers Dr.D.V.Swami and Dr.V.SudhaVani have organized the programme. Teaching and non-teaching staff, NSS volunteers, students and Agricultural work men and work women of College of Horticulture have participated in the Vanam –Manam Programme. The Vice-Chancellor addressed the gathering highlighting the importance of vegetation in controlling environmental pollution, trees are as a source of Oxygen, they add beauty to the nature, helps in getting rains etc. Nearly 500 plants were planted. The plantation drive will continue throughout the year.